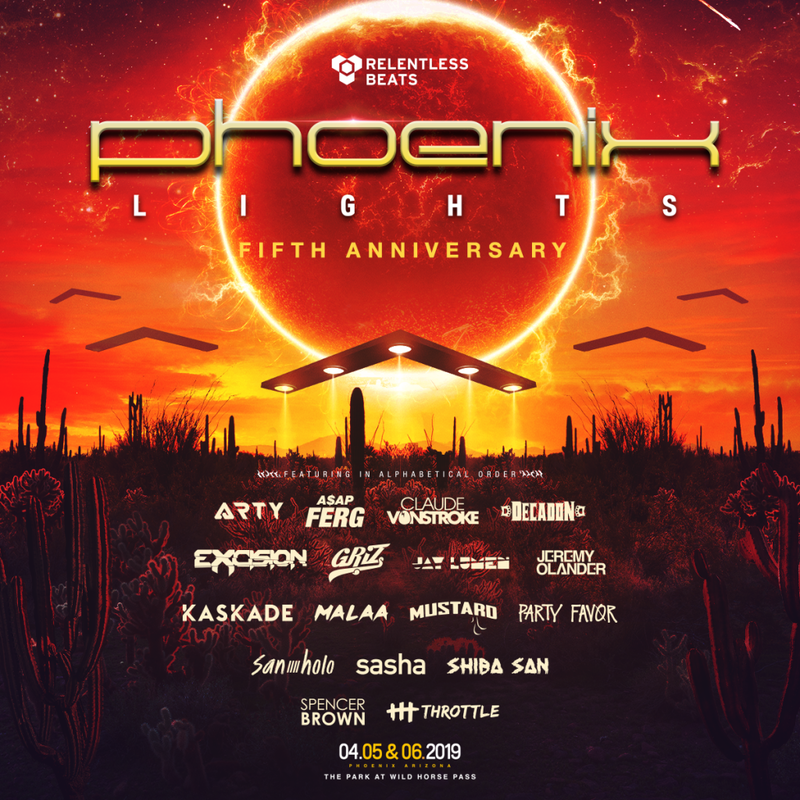 Phoenix, Arizona (January 30, 2019) – A transmission was intercepted from the skies above late last year, as it was revealed that Kaskade and Excision would be leading the invasion of the fifth straight Phoenix Lights Festival at The Park at Wild Horse Pass, April 5 and 6, 2019. Produced by Relentless Beats, Arizona’s leading dance music and EDM promoter recently released a second transmission… confirming this time that we indeed are not alone. Arty (recently released Save Me Tonight video) A$AP Ferg; Claude VonStroke; Decadon; GRiZ; Jay Lumen; Jeremy Olander; Malaa; Mustard; Party Favor; San Holo; Sasha; Shiba San; Spencer Brown and Throttle have all been added to the first round lineup of this continually expanding festival. Additional artists will be announced in the coming weeks, as further transmissions are received.